Last time I checked, he was rated as the #11 safety in the NFL and just made it to the pro bowl as an alternate...but who needs pro bowl talent anyway? We are teaming with those in our defensive backfield. Just ask Gruden.... we are so stacked in the D backfield and overall depth at all positions with pro bowl talent, that we don't need to seek any compensation or draft picks. Swearinger was so poor in talent and attitude that The Cardinals jumped to have him on their team AGAIN. They knew how terrible he was when he left the team and they jumped ay the chance to sign him so they could get him back as he was sooo bad. They had to protect their last place finish in the NFC West and knew signing him would help them achieve last place again, but what do they know. The Redskins are familiar with earning last place but Swearingers knowledge was noticed by our astute staff and he might prevent us from getting last place next year. He had to go....he knew more than the coach and that might get us closer to 1st place...Good thing we have Gruden and B Allen to keep us at the bottom and get rid of the players who want to win. Such a crazy game!....its so hard to see the sneaky good players that try to undermine our goal to fail.... Good riddance DJ. Your desire to win, playing with all your heart, above average talent, and being a pro bowl alternate pick are not wanted or needed here. If you would have just kept quiet and taken your losses for the team, and be a real loser, you might have been able to stay a part of this constantly declining franchise. You could have enjoyed a future of being another face in the crowd, unknown by all and judged by those who did know you, as a loser. But you blew it. Your intelligence and pro bowl talent were exposed and now you had to go. If you can, see if you can talk Trent Williams, Scherff, Jonathan Allen , Payne, Kerrigan and a few others to go with you....I feel they are not taking losing seriously and we don't need more of that. We are destined to be in the NFL Hall of Fame, the National Football Losers HOF and Gruden, B Allen and Snyder will get us there! I totally agree Joeken 24. Love hate relationship is what this team and FO gives you to work with. You want to stay a die hard fan but they keep putting out the manure year after year. dav87sc said "the expectation is for players to do what the coaches say, right or wrong" Well, there is the problem as he did what the coaches expected ….over and over again with negative results....surprised it was only 4 times that he expressed displeasure....I expressed it many more! Swearinger wanted to win badly and tried to get them to listen but was ignored and he kept playing as the coaches directed with the same idiotic results. I would be frustrated too....as he stated that our talent wasn't as bad as the results were showing and he knew why. The guy gave his heart and desire to win and even with the negative results, he ranked #11 in the NFL for safeties and made the Pro bowl as an alternate. He must have a little knowledge of what is happening on the field. I won't forget him yelling and waving Norman to move up on his receiver during the Texan's game with 3rd and 9 to go, and Norman played back and was beaten on a 12 yd. pass for a 1st down ( just like 8 out of every 10 times) that extended the drive for a TD. His reaction showed his desire to win. Our staff's ego did not allow his input and advice and he realized he was sailing with a ship of fools, but was man enough not to accept losing without a fight. It is our loss again due to ego's and ignorance....it shouldn't take long to realize how many times we can't stop 3rd and long or how to close a game out. Week 16 of another year and were still going back to look at game film as we have corrections to make. After all these years, is this ever going to stop and will we ever be properly prepared for a game? Another thing, if Swearinger was sooo bad, why did the Cardinals jump on the chance to take him back? A new team... Ok... but a team he recently played with??? They knew what they lost before and he must be doing something right. One thing for sure, our coaches sure as heck don't know and Swearinger was right in my book to call it for what is was and be fed up with the ignorance if they didn't want to listen. What ever happened to "Fool me once shame on you, fool me twice shame on me", and shame on me and shame on me, and over and over. Congrats Gruden for keeping your pride and ego intact and losing us a pro bowl talent because your defensive coach is clueless. We don't need pro bowl talent in our defensive backfield....were good, our record proves it, as well as the withering attendance. I'm not one to burn my jerseys, but I think after this move, I might wipe with it. How long does this joke go on? It's Vinny Round 2. 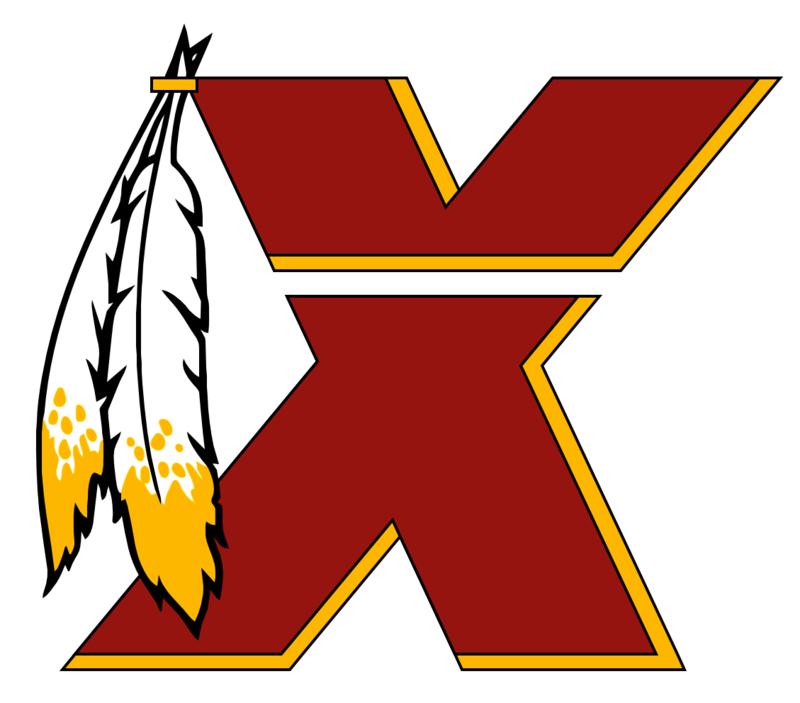 The Redskins Rule: When the coaches don't know what they are doing with the talent they have, don't tell anyone and go down with the ship....keep quiet and remember that we need to get paid every year....its a business decision! Yeah send them our way Belichick...we are worse than Cleveland now...Bang! The damage done is not so much losing the 11th ranked safety who emotionally hated to lose and gave 110 percent on the field. We could move on without him as we don't need quality above average DB's on this squad....cough, cough...but to not suspend him for the last game and try to get something for him was absolutely insane, but par for the idiot knee-jerk decisions our staff makes. The real damage is that player morale dropped another notch and some of the 2019 Skins will be playing for paychecks only as it will be business only. The tweets from some of the players show that Swearinger was well liked and they were shocked to say the least. What he stated had merit and truth and showed there was a division between players and coaches on this staff. How Swearinger expressed it was wrong but not worth being cut...we need pro bowl talent even if it is being an alternate. The coaches don't have thick skin at this point. after a soon to be 7-9 season in Gruden's 5th year....The fans are sick of it, home attendance is proof and the last thing coaches need at this point is the players jumping on the bandwagon pointing out their mistakes. Keeping Gruden next year will be more of the same again and will possibly be worse. Kudos to Cleveland and their owner for having a better record than us and a quick turnaround from a winless team and making a coaching change mid-season. That how you do it....something our owner/ coaches don't grasp. Should have promoted McVay last year. Should have done a lot of things different. You know its bad when players tell you they don't practice hard which leads to more injuries, and especially bad when players come off the field during a game and tell you what is happening and what will work or not work and then get ignored, only to result in the coaches being wrong. Look what happened with Aaron Rodgers/ McCarthy with disagreements and where is the coach now, Look how the Ram's players love McVay as he respects their input and listens and is described as a players coach by the players who surround him. Now the players and even Trent Williams are at a loss. This move was past stupid and will be the biggest mistake this year. It will cause more damage from a player morale issue than anything that occurred this year. The Redskins players will only be focused on the business side next year and this team is headed for worse days to come. Cleveland has a better record and made more right moves this last year than Allen and Gruden have accomplished over the last 5. Wish I could triple love this post......shows how it will hurt the Redskins from a player morale view. I like many, loved his fire and desire to win. FIRE Gruden and Allen for destroying this team.....,..you just lost Trent and others trust. At least Swearinger said what had merit and desired to win.....but the move was totally wrong....waste of talent that we could have received something for instead of just cutting him....11th rated safety and watch him be get picked up ASAP. Another Idiot move!!! Stupid is not a good enough word to describe the Coaching and FO moves. Swearinger was only speaking the truth and had the fire and drive to want to win. This staff needs to go as this is the straw that broke the camel's back.....Can't even discipline him. Just cut him and get nothing for an 11th rated safety...another example of the inept decisions this FO makes. Swearinger didn't like losing and wasn't going to accept it laying down.....unlike Gruden, Snyder and Allen. What he was saying had merit but the coaches were too stupid to listen. The attendance will keep dropping until it is occupied only by the visiting team's fans. Soon Snyder will have to sell this franchise after it is totally ruined by his decisions. What a joke that Cleveland has a better record from being winless for almost 2 years....think things are being done right in DC? Seriously think about that! I agree with you KillBill26, except I am not allowed to express properly the words to describe this latest move. KC needs him badly! For every good game, we get 2 bad ones. Too much inconsistency under Gruden to keep him. One of his faults is not holding players accountable for their errors and this being voiced by the players themselves, can add to the teams woes. If we want to get to the playoffs consistently, a change needs to be made. You get 0 points for being competitive and having losing records year after year. Bring in new life with the young talent we have now. Let the drunks, and oft injured players go and stop wasting roster spots. Get some players who desire to excel and put in the hard work to succeed. It's sad when a 4th string QB, years removed from the game, comes in with a rookie line with only days of practice and whose few remaining vets are hobbled and performs better that the starter and his backup. Something is terribly wrong with this staff after 5 years. The only superstar is Callahan the Line coach...he is a miracle worker. Yes, he did a better job this week and ran the ball more to keep drives going....too bad his pass defense is pathetic as it cost another loss. This 4th string QB has played better than all the other QB's this year. no … the 2nd down pass was midrange 15-20 yd. down the left sideline that went OB/incomplete and the 3rd down pass was 10 yd right sideline pass to Reed that was incomplete...then the 65 yd FG. Point being that the middle was the weakest coverage and the calls made were against their strength and schemes to defend sidelines to prevent clock stoppage. the greatest chance was to hit a 10 yard middle slant on 2nd down. Was less risky than throwing into coverage which clearly didn't work. Gruden's concept was much riskier and lowest chance for completing and getting OB. Highest possibility was to complete the middle field pass and spike it on 2nd down. Anyway...we keep finding ways to blow a game consistently...just like today at Tenn.
1. Vikings ARE better than us...watch them go to the playoffs. 2. No Gruden can't force a player...but that comes from the players you choose to be on your team and Gruden's choice for the active squad. 3. Fuller average but better as a rookie last year than what we have on the field....case in point the great defensive back holding call on 3rd and long in the Tenn game today … late in the 4th qtr. … which gave them a 1st down and led them to their Game winning TD. 4. No Gruden didn't throw it but he called the play. QB has the headset on for a reason. It was Gruden's call and he blew it just like the team did today again. 4th qtr meltdown with 4 1/2 minutes left...another Gruden finish. Like I said 0-2 in the last 2 games and a 7-9 record in his 5th year. Gruden is responsible for the coaches he chooses and it is his decisions that give us the franchise we have now, both offensively and defensively. Time for a change as he can't field a winner much less a healthy team. So much for the happy keyboard warriors that are continually satisfied with losing and have to search for anything positive to say, just to keep backing this debacle of a franchise. The Snyder reign has been a constant mess. Bring back the good old days where HTTR meant respect. So sad we can't even win the NFC East when everyone else is floundering. Get back in touch after the Tenn game and tell me what you have to say then. Giants were on a roll and wanted to finish out winning. Like last year, on the games that really matter, Jay doesn't have them prepared ... Giants beat us 18-10 the last game in 2017 to knock us out after we already beat them once...just like this year. Yes they have motivation to knock us out but where was our motivation to win and make the playoffs....ask the coach! And the Jax game, we were losing the 2nd,3rd, and 4th quarter until minutes to play after leading by a whopping 3 points in the 1st qtr. You know where our players heads and focus is at right now being 1/2 game out of the playoffs with 2 games to play??? Ask Nicholson who just got arrested for fighting and being drunk....face it...after 5 years, Allen and Gruden are nowhere close to building a championship team. It will never happen with these 2, just like I said for years that Shanahan was a mistake. The Snyder debacle continues. Every year, same story. Our great years now are seeing if we can finish with a .500 average 8-8. Totally agree with AP signing. He's an example of the "heart" and mentality we need on this team. All the oft injured players need to go! You hit the nail on the head with your comments and I feel Allen needs to go along with the others. Now Nicholson arrested being drunk and fighting with playoffs on the line....where are our players heads at and what focus do they have? 5 years was ample time for Gruden and Allen not to be in this position and the excessive history of injuries shows that the Redskins are not doing something right, strength and conditioning wise. Clean house and keep the Kerrigan's and players that show up week to week and produce. Get inexpensive young talent that desire to succeed and build. Forget the Reed's,Lauvao, Doctson's that take up a roster spot for 6-8 games a year production. We won't beat Tenn or Phila. with our O-line....We just pulled one out in the last minutes after never leading the entire game...and that team is 4-10....not 8-6 Tenn or the 7-7 Eagles that just beat the Rams. Our OL is a mixture of injured players and players that couldn't make it on any other team roster. Jay has to go too!. McVay's promotion to be our new HC was the move that should have transpired last year. Excellent comment that everyone needs to read. Especially your point with the Bum Phillips quote! He would lose both games. The Texans game alone ….a 10 yd. slant across the middle with 19 secs. left was wide open and then spike the ball with no timouts...Hopkins kick was right down the middle and would have cleared the goalpost at that distance....instead he threw to where they were covering(sidelines) with no timeouts and game over from short 65 yds out FG try. That one game alone would position us for a wild card but we are too beat up anyway with our injury history. Great points about Gruden though. We are getting bad results! Look at our IR's the last 2 years and Reed is a walking career injury Anything less than a wildcard gets the same result as being winless, the exception being a lower draft pick order for more losses. I am happy we finally won today but we just dropped down further in the draft order for next year. No we are still alive, but realistically we need a miracle with this terminally injured OL and some of its players that couldn't make any pro team roster. We definitely need high draft picks for instant starters to improve. But again, its the same old story with this FO and Coach. The difference this year is that the fans are really disappearing for all the years of the same old bull/hype and its embarrassing what our franchise has become on a consistent basis. Clean house. FO should have promoted McVay last year and Kirk was worth the 20 mil he first wanted years ago and we could have kept Fuller and used the money to build. No wonder Scott started drinking again...he was even better drunk than a sober Allen. Gruden is not ever going to be a top 10 coach, much less with Allen at the helm. Look at the transactions this week alone, waive Bibbs? Let Simmie Cobb go to the Saints and then try to save him like Kirk....too little too late again. Recognize where we stand right now and we could probably use these players next year, quality young players at a low price. Doctson has been a waste and Harris is a better receiver in my book, Cobbs produced more in pre-season that Doctson ever did and for a lot less money that could be used elsewhere for solid durable O-linemen, I could go on and on but it's useless . The good is that we have a decent D-line and maybe a star RB hopefully, but that's about it. We are weak or average in all other areas. Trent is older and getting injury prone and slower. Gruden and Allen: Time to turn in your playbook! Has anyone had enough of this embarrassment? 5-2---6-3 and we now sit at 6-7 with dejected morale by both players and the fans. Every year we deal with ignorance and injuries and the seats keep emptying. Allen and Gruden have had too many years already to build this result. Why didn't we keep McVay and make the change last year? I would take a drunk McCloughlin over Allen at this point...couldn't be much worse. Allen, you and Jay's brother Jon were axed out of Tampa Bay for a reason and you and Jay need to go! Now! The Snyder insanity continues and this franchise continues to be at the bottom. This team is never prepared even after bye weeks and the coaching is terrible. The strength and conditioning can't be working for the past 2 years. After watching Fuller shut down the Ravens receiver for the game winning stop for KC this Sunday, it reminded me of the terrible trade Allen made....we desperately needed him this year and Allen gave him away for a QB that KC was cutting anyway. As it turns out we lose Fuller and get Sanchez as Alex goes down. It's time to clean house and let the constantly injured players go. Especially Reed and Doctson as examples. So sick of the same insanity year after year. let the ax fall now! Just like tonights game....1 pt behind in 4th qtr and the disappearance of Peterson and we leave with a 15 point loss. At least Norman got an interception after giving up some TD's and a bunch of 1st downs. Knew we were screwed when Eagles had 3rd and 9 backed up on the 20 yd line on their 1st possession and Norman gave up a 1st down which started an 80 yd. drive for a TD. Nothing new though.....this is what to expect from a 75 mil contract to a player who can't keep up with receivers. All year long and you can count on it happening. Just don't understand all the fans who think he is good. He is average at best and slow for a corner and definitely not worth the salary of a shutdown corner. He makes 1 good play for every 10 blown coverages. Too many holding calls due to his slow speed. His mouth is underpaid though as he talks a great game. He should never have gotten upset at the booing fans for not being satisfied with his pathetic coverage. Wonder how the NE fans would treat him? But back to your quote....at least we were fun almost halfway and it was just too bad the TV analyst knew better and kept the Skins fans in a reality check. Couldn't even get the respect then. We will always find a way to ruin it. you will see how angry by the number of the constantly growing vacant seats at the last 2 home games. Fans have had enough of the B Allen bull and hype and the Snyder regime. Next years season ticket sales will plummet even further. Snyder will go back to selling to the ticket brokers. So sad what this franchise has become. Most of the fanbase never experienced the failures back in Sonny's days only to see them rise to being respected and feared. Now we have become the NFC Cleveland under Snyder and a Front Office joke. How much suffering must we endure with Norman and this terrible pass defense? 1st Dallas possession, 3rd play and it's 3rd and 7 and Norman is nowhere near his receiver which converts for a 1st down and the drive is started as they go down and take a 7-0 lead. How many times is Norman yards away when the ball arrives and what about the holding calls on Norman during and in the final minutes of a close game? Even Swearinger was yelling and hand motioning Norman to move up closer to Cooper, who then completes another 3rd and long reception for a 1st down on Norman. Swearinger is the only safety/DB that we have, that plays with heart and is above average in talent. We have guys that can't even keep from falling down. Norman, you called us "keyboard warriors" and don't like our boo's....then start playing and earning respect like the salary you are being paid, or you will have to beg people to take the tickets you purchase just to hear their voices. By the way....how did that work out for the Houston game? More giving up TD's and holding penalties on your part. This team's motto all year is " We have issues that need to be corrected", and it's repeated at every press conference all the way to game 16. The Motel 6 saying: "we will keep the light on for you"…..Redskins saying: "We will keep the fans booing and emptying the seats until we get it right". Exactly! You hit the nail on the head....The "Mouth" needs to shut up and be a shutdown CB for the salary he's getting. Dez was right saying he's all talk and no game. 3rd and 7-8 yds to go and they throw to Norman's direction for a reason. He's just not as good as he thinks he is but don't attack the fans. Especially ones like me that started going to their games before Sonny Jergensen. Been around long enough to know when it's time to start booing his inept abilities to prevent TD's and 1st downs.